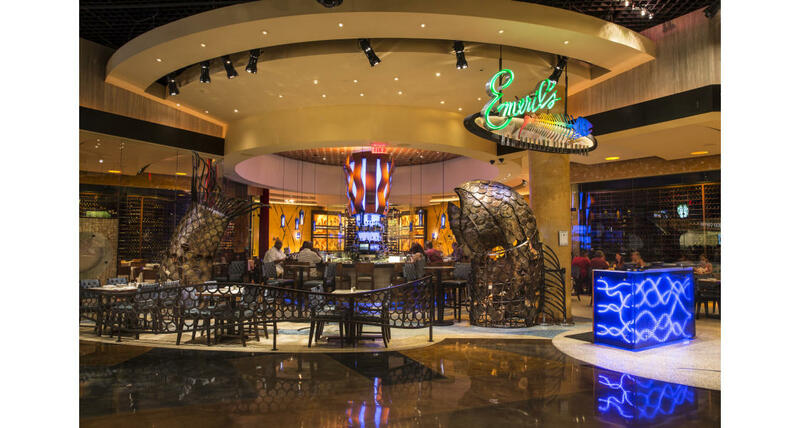 Emeril’s New Orleans Fish House seats 240 people and reflects the origin of Emeril’s seafood creations. From the soft glowing blues, to the wave like wood accents, to the metal wavy sculptures on the sand colored walls, to the fish scale tiles and aqua colored leathers in the patio area – the restaurant personifies the influences of the water. 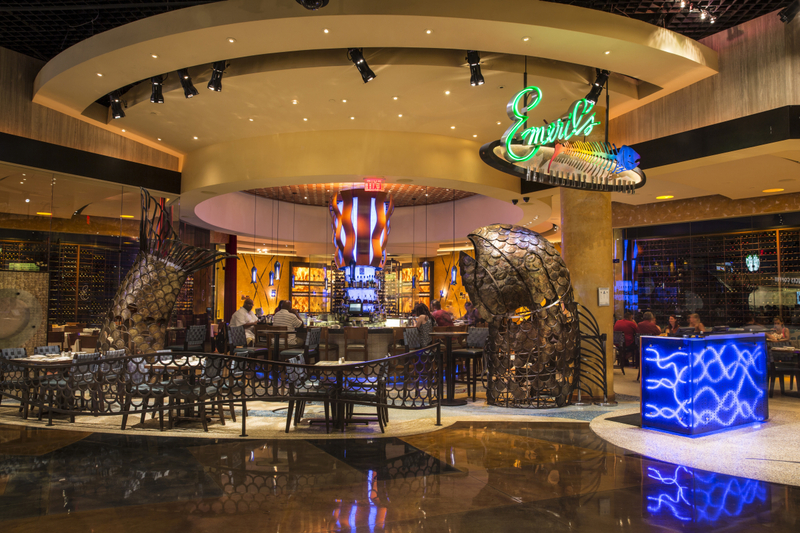 Emeril’s commitment to using fresh, high quality ingredients in the dishes he creates remains a constant. To do so, he employs cottage industry ranchers, farmers and fisherman to ensure that he will always get the best for his restaurants. Courtyard seating for 20-65 people as well as restaurant buy-outs can be arranged through our event planning staff which will help to assemble your event needs.